* A divorce terminates a marriage, it does not terminate a family. * A happy family in two houses is better than an unhappy family in one house. * Our children need to always be our primary concern and focus. 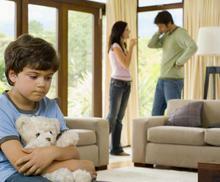 * Unresolved conflict damages children. * A divorce is not to be entered into lightly - it impacts multiple generations. * We all experience a predictable pattern of emotions in response to losses. * You choose to start a divorce to make your life better. * Seeking revenge against your spouse will not make your life better. * Life’s challenges give us a choice - are we going to be bitter or better? * Adversity helps to mold our character - who are you going to be? * We cannot control the actions of others, only our own.